Despite my recent amateur efforts at calculating a calving date, Nellie decided to hold on for just a few days more – probably just so she could laugh at me checking on her every few hours. As luck would have it, she held on until I had just left for a business trip so I didn’t witness the actual event but luckily someone else was on hand to take a few photographs for me. I wouldn’t expect to be directly involved in their calving anyway because both cows have calved before plus Dexters generally have very few problems when calving. Last time around both cows calved during the winter months (in December 2015 and February 2016) because we bought them in-calf and the previous owners had some delays with the bull arriving at their place. 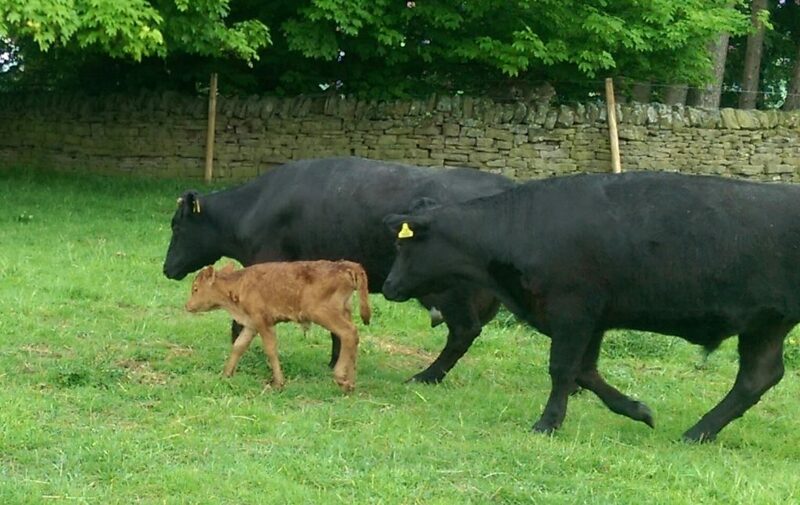 During summer 2016 we were lucky that some friends who also keep Dexters had already organised a bull for their herd which made it easy to arrange for him to visit our 2 cows at a suitable point. 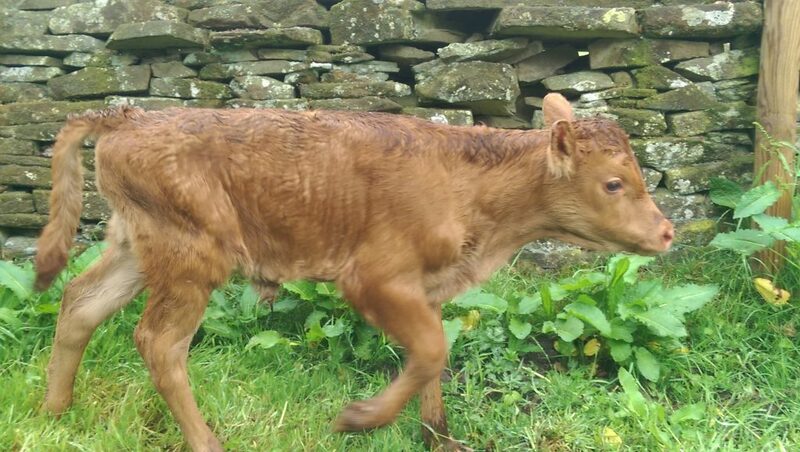 We now have a red calf called either Percy or more likely Primrose based on my initial quick inspections while trying not to upset his/her mother. 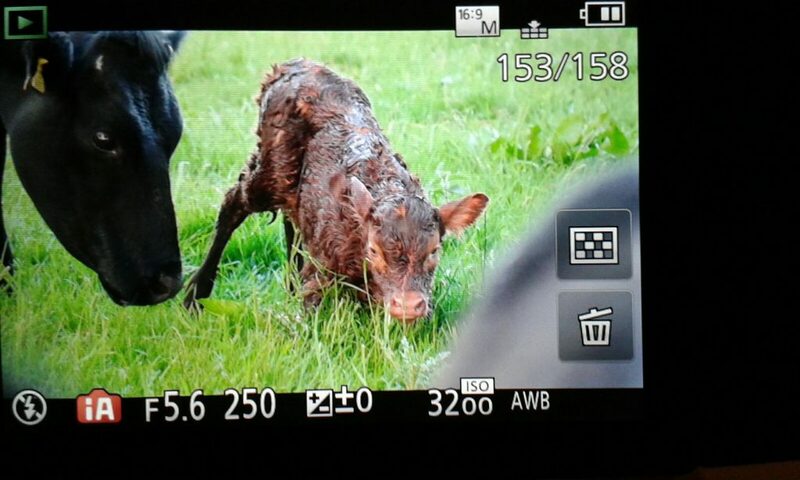 A third inspection is scheduled for later today and at the same time I may also deal with the ear tagging before the calf gets any more agile on its feet and therefore harder to catch!